Looking for a way to serve our community in the Dayspring Diamond with our literal hands and feet? 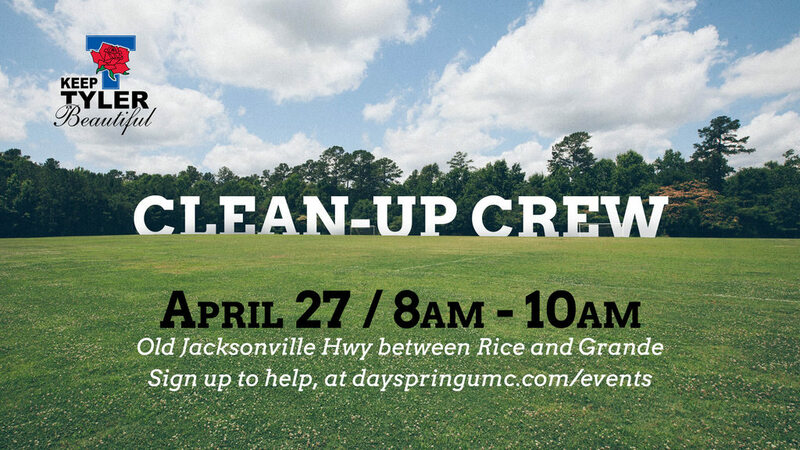 Join our clean-up team along our 1-mile stretch of Old Jacksonville Hwy, from Grande to Rice! A safety meeting will be held at each clean up event, and gloves for adults, safety vests, trash grabbers and trash bags will be provided. Children (10 years old and up) are welcome, but will need to bring their own gloves. We hope to see you there!